Structured data is found in databases and consists of master data and transactions. Structured data can expose the organization to significant risk and compliance concerns but is contained within database structures and is to a degree easier to control, monitor, and secure. However, pathways to export data and access to structured data is a concern to organizations when it is exported and manipulated in spreadsheets and documents. Unstructured data is pervasive and quickly gets out of control. It consists of documents, emails, spreadsheets, as well as communication and collaboration technologies. Data is easily copied, disseminated, and manipulated. In the distribution process, different versions evolve and can conflict with each other. Business critical data is often stored within spreadsheets and communications subjecting the organization to risk and compliance exposure. Dark data that is data that the organization has no clue about or control over. What should have been destroyed still lives on in remote corners of the organization and beyond. An older version of a spreadsheet that relies on bygone assumptions may still be accessed and used resulting in poor business decisions and faulty analytics. Rogue data that is easy to manipulate and present out of context. What is legitimate information may be unintentionally or maliciously altered to present a different story out of context. Duplicated data in which the organization may have understanding and control of areas where information exists, but is not aware how it has been copied and distributed. When the data changes, those changes are not reflected across areas where it has been copied, referenced, and used. Pervasive data that has no boundaries — unless controlled. Employees quickly use social sharing, collaboration portals, and mobile devices to access information from wherever they are, whenever they want it with little thought to risk and compliance. There is no doubt about it – end user computing applications are a strategic and critical business application. End user computing applications, particularly spreadsheets, represent an essential and strategic application to business, but also are a significant risk if left uncontrolled. Business criticality of end user computing applications. Spreadsheets and documents are business-critical applications. They offer advanced analytics and modeling of numbers, finance, and statistics. They are flexible, used, and cherished by many users. Spreadsheets and documents are here to stay, and the organization must figure out how to control them. Pervasiveness of spreadsheets and documents. Spreadsheets and documents are everywhere; every workstation typically has them installed as a standard application. They electronically breed and multiply by users adapting them for different purposes. They are copied and modified with no accountability or documentation of their use. Little thought has gone into their development and they often have a host of inaccuracies. Complexity and integrity of spreadsheets and documents. Spreadsheets, while a tool in everyone’s electronic toolbox, are often highly complex with bewildering math, configuration, and calculations spanning multiple worksheets. Complexity makes integrity a challenge. The data quality and integrity of spreadsheets is critical, and the more complex they are, the more control, oversight, and diligence is required. Simple mistakes introduce significant errors. Spreadsheet issues resulting in loss and bad decisions come about through simple user error, miscalculations, and manual processes such as copying and pasting data. 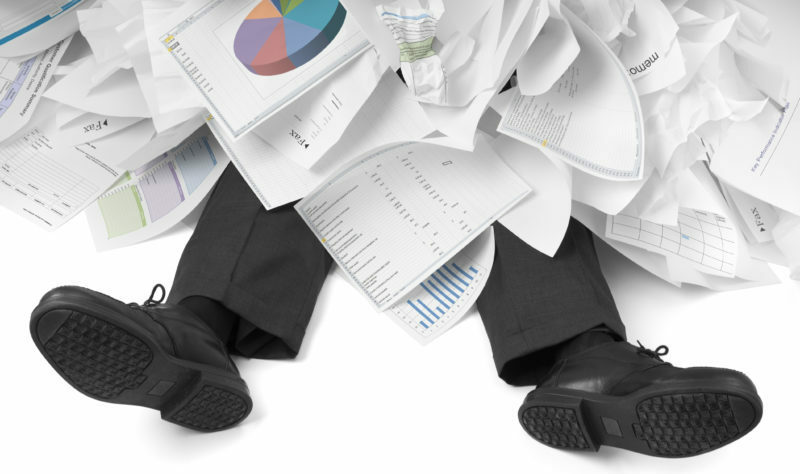 When spreadsheets and documents are not controlled or vetted, it can be quite some time before the organization realizes the loss, and in the meantime, it has grown exponentially. It is the exponential loss that finally brings attention to the fact that a simple error in a spreadsheet caused it. Organizations also struggle with the fact that as spreadsheets were developed or changed, no testing was done to provide assurance that they functioned correctly. No audit trail, change control, or versioning. Changes to spreadsheets are typically not monitored, and the organization could not tell you who did what, when, how, and why. It is not a difficult task for miscreants to come in and modify numbers to cover a trail and protect themselves. Further, the data in spreadsheets can often be a mystery with no way to trace where it came from. Organizations struggle with versioning and archiving of spreadsheets because of modifications and cannot fall back to a reliable version should an error be found as there is no reliable version available. Lack of accountability and ownership. In general, spreadsheets and documents are unsecured and unmonitored tools. A spreadsheet is developed and then proliferated throughout the enterprise. It may be modified, and calculations changed. Multiple versions end up existing with no single person responsible for their integrity and use. Someone may access a spreadsheet and never realize it was modified and perhaps functions in a different way or has errors in calculations and/or values. Compliance and audit challenges. Organizations are under the microscope from regulators and external auditors to improve control and assurance over the data in their spreadsheets, comply with regulatory requirements, and conform to auditor expectations. Further, the internal control and audit process is cumbersome as it involves manual processes that require significant time to manually check spreadsheet integrity and function – time that constrained resources in internal audit and control staff do not have. They need an automated and reliable approach to meet expectations and requirements while minimizing risk and loss to the business. Despite these challenges and risks, many organizations lack a thorough understanding of end-user computing solutions that present a risk to an organization’s financial reports. Ensure that ownership and accountability of information governance and collaboration through end user computing technologies is clearly established and enforced. Manage ongoing business impact of risk exposure in the context of end user computing. Integrate intelligence that establishes workflows and tasks when issues arise that impacts the organization in context of improper use of end user computing solutions. Monitor the organization’s environment for the dissemination, access, and control of information across end user computing solutions. Identify changes in risk, compliance, and control profiles spreadsheets that expose information to issues of integrity, confidentiality, availability, and auditability. Visualize the impact of a change on the organization’s processes and operations in the context of information and end user computing use. Have a question about End User Computing & Internal Control Management Solutions and Strategy? GRC 20/20 offers complimentary inquiry to organizations looking to improve their policy management strategy and identify the right solutions they should be evaluating. Ask us your question . . .
Internal Control Management by Design Workshop. Engage GRC 20/20 to facilitate and teach the Internal Control Management by Design Workshop in your organization. Looking for Internal Control Management Solutions? GRC 20/20 has mapped the players in the market and understands their differentiation, strengths, weaknesses, and which ones best fit specific needs. This is supported by GRC 20/20’s RFP support project that includes access to an RFP template with over 500 requirements for risk management solutions. GRC 20/20’s Internal Control Management Research includes . . .